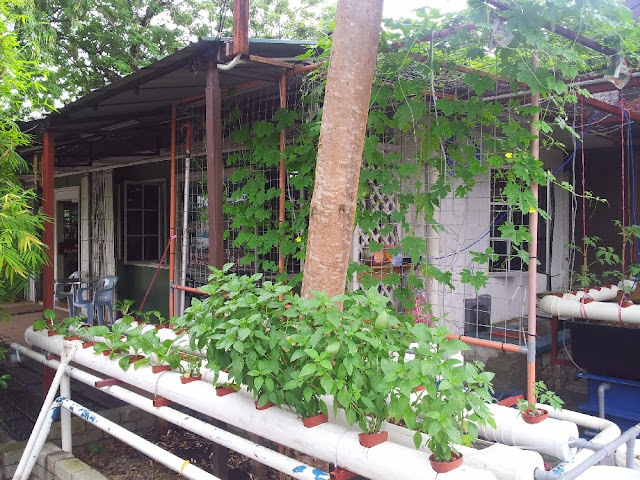 Who would have know that an Old Folks Home located in Seksyen 18 Petaling Jaya is teaming with life, the inmates may be old but it's management is keen on Aquaponics. 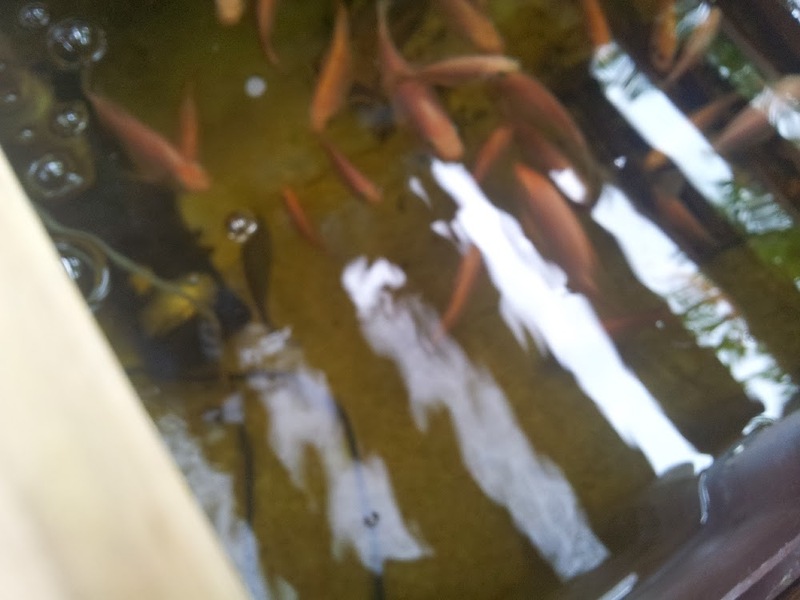 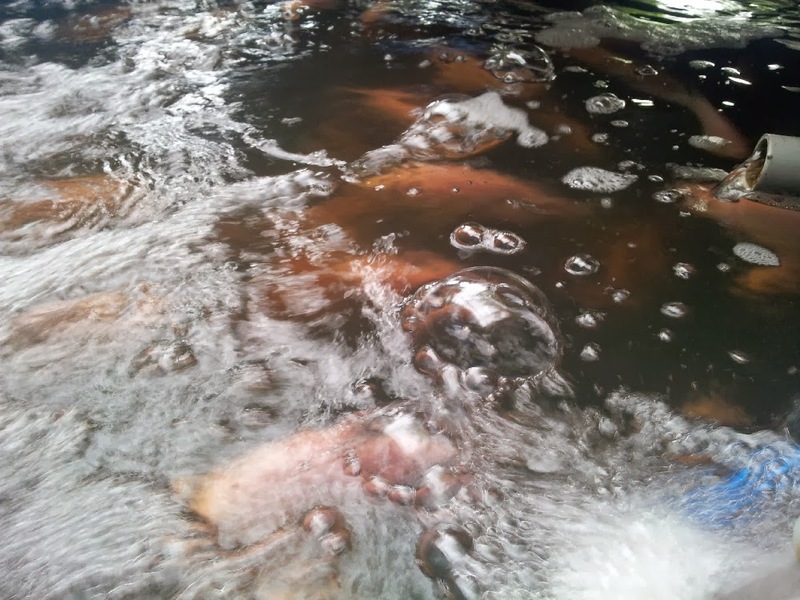 I was informed that Mr. Steven Wee has stop his Aquaponics activity due to commitment on other area of his business. 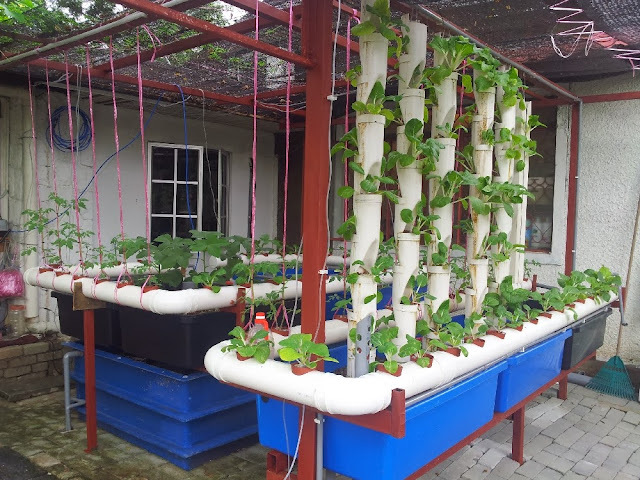 All sort of Aquaponics set up are there and been tried, from Dutch Buckets to Vertical Towers. 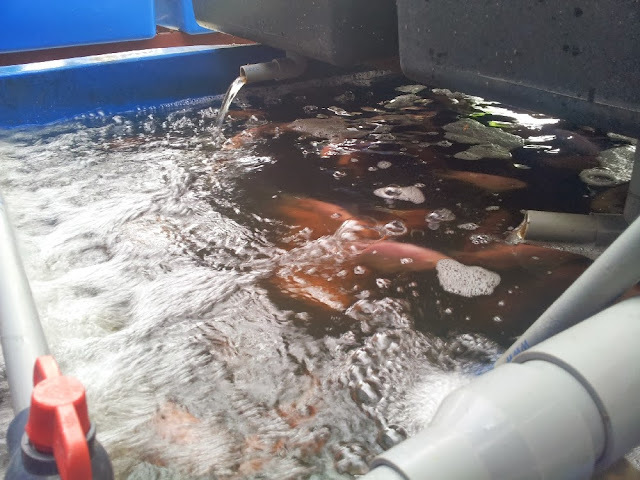 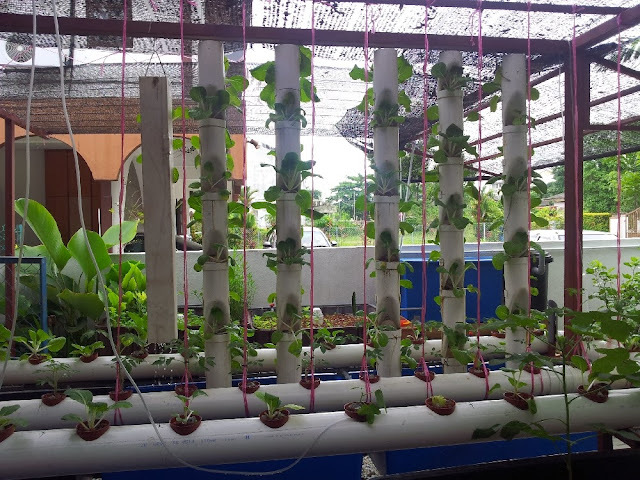 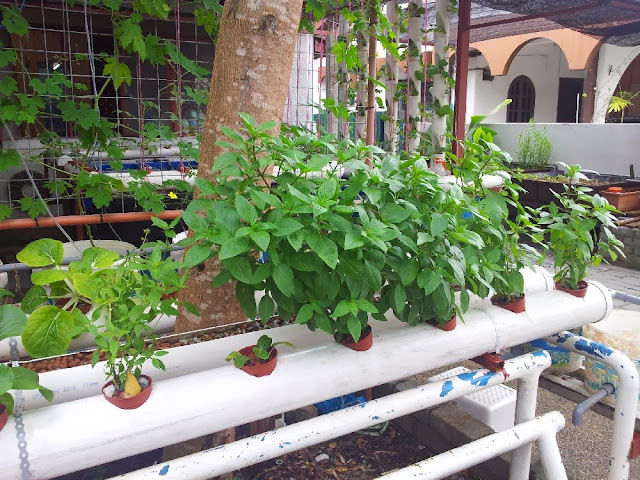 Mr Steven Wee the owner are very passionate with aquaponics and I must say it's a very complete setup and ideal for school kids looking for an Aquaponics place to visit. 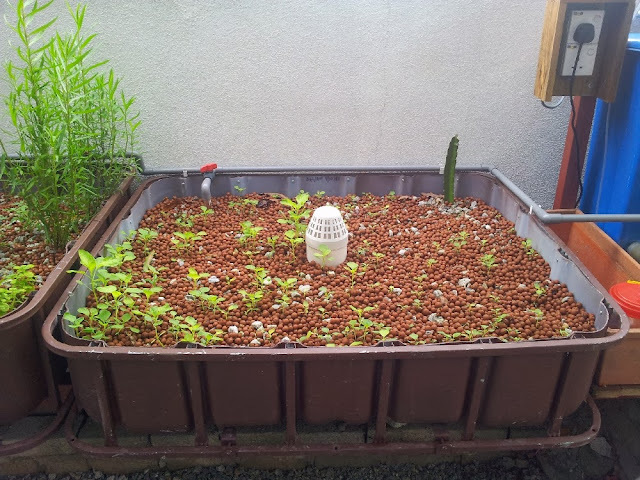 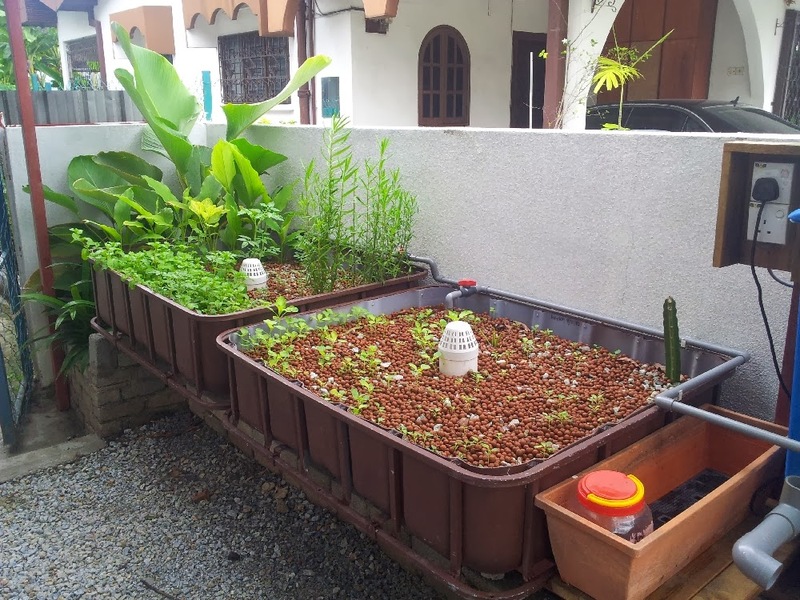 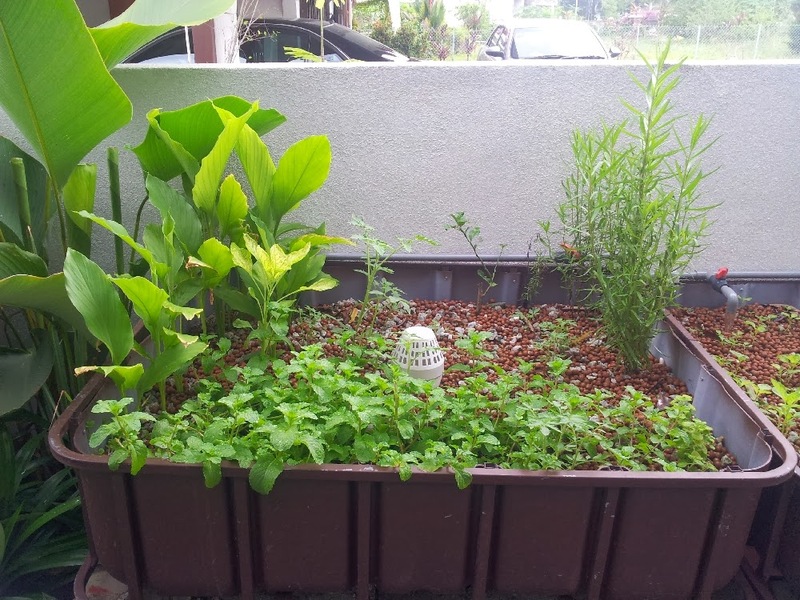 Growbed style Aquaponics with seedling and Turmeric. 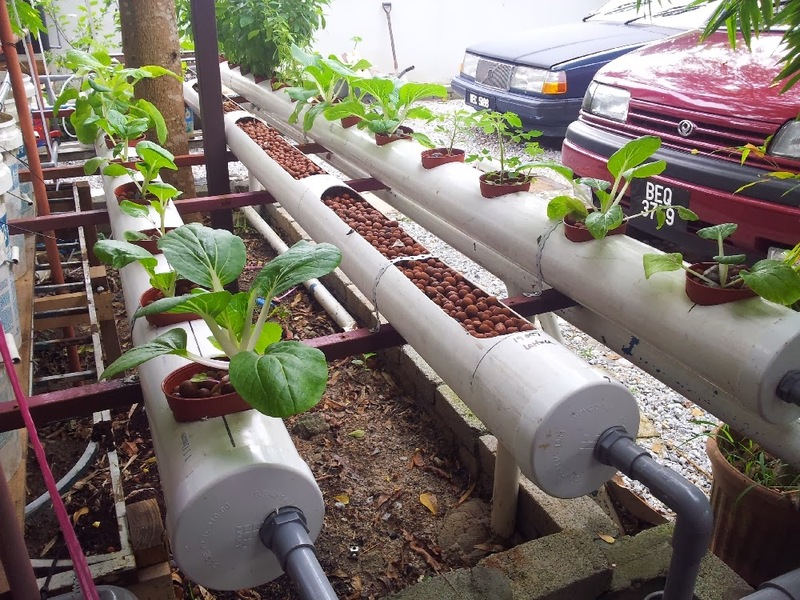 These are made from IBC and raised for planting with fish tank located few feet away. 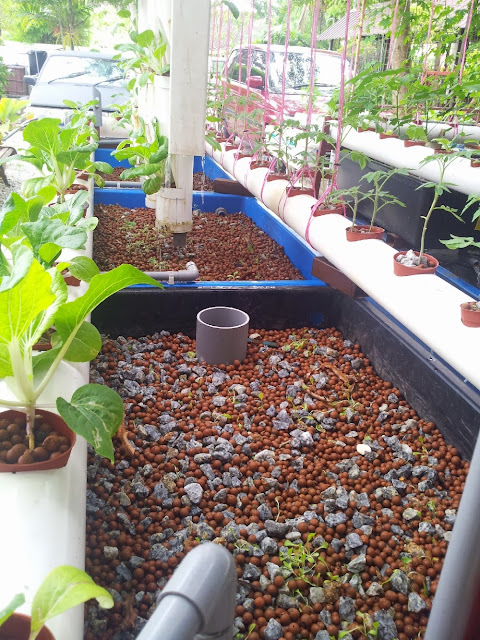 NFT with lots of growth. 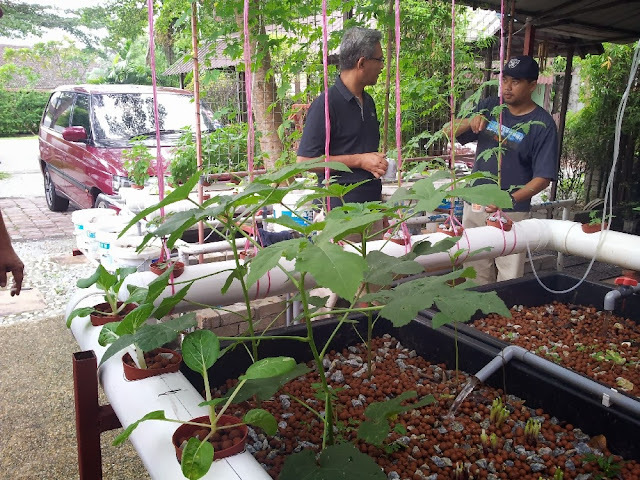 Couple of Aquaponics Malaya members, enjoying the visit with Kopi "O" in hand. 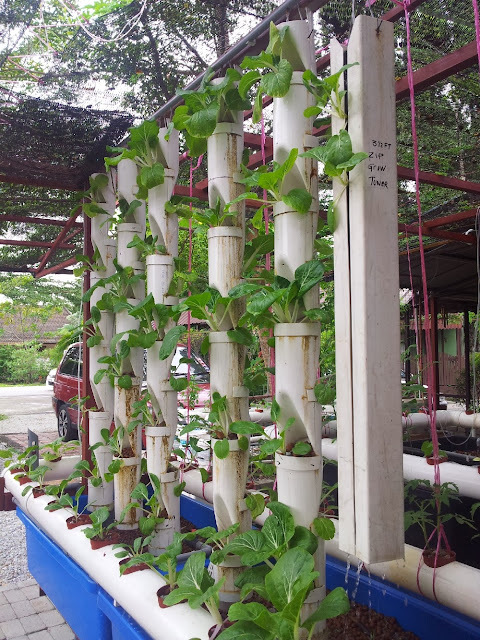 Vertical tower with Pak Choy I think, can't really catch the name. 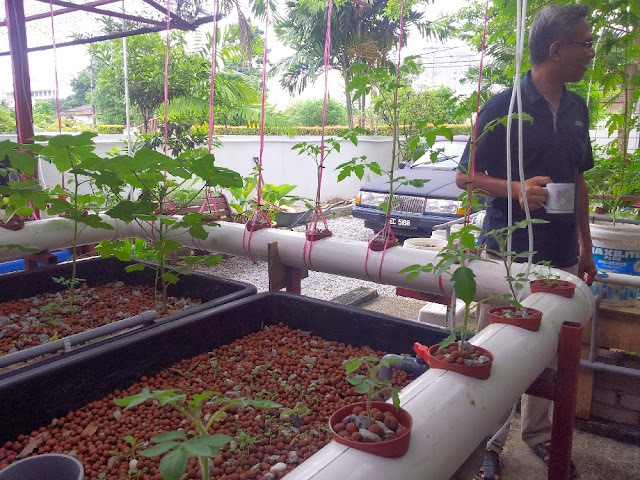 Mr Steven Wee is very passionate with his work, it a show case on what are the potential for Aquaponics in Urban Farming over here in Malaysia. From this and earlier post on Mr. Perng setup in a Condomonium/Apartment will make an eye opener for more Malaysian to try out Aquaponics filling the empty space and time. 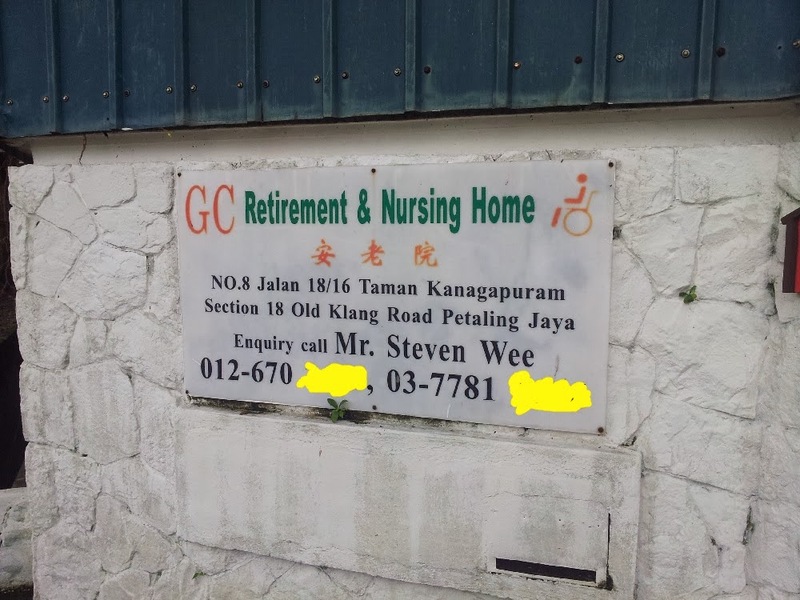 I am not sure about this, maybe it is.